Do you need a rapid deployment security solution for your project? Discover how we deliver peace of mind through reliability and effectiveness with our rapid deployment CCTV tower. Combining six metres of military grade metalwork with the latest integrated camera technology, our rapid deployment mobile CCTV tower is a fully responsive guarding solution that acts as a reliable on-site deterrent as well as an active site-monitoring tool. The system comprises a vandal-resistant pan-tilt-zoom camera head that is supplemented by a bank of infrared sensors, motion detectors and a set of in-built loudspeakers. All footage recorded by our system is logged on a digital video recorder and is available for live-streaming or archive playback via our remote mobile and web applications. 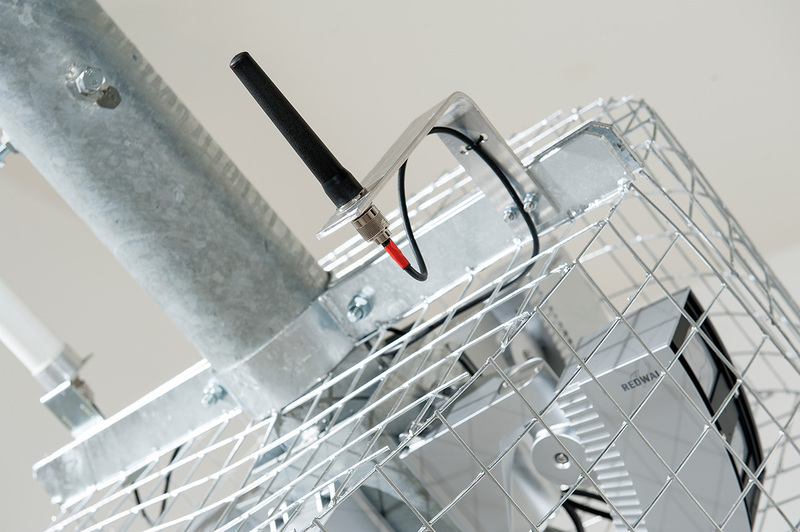 The CCTV tower may operate as an independent unit, or multiple units may be connected to create a secure network for the surveillance of your site. This, coupled with static camera units that can be added to our system provide a complete coverage of your premises. Our mobile CCTV solution is suited to temporary, permanent and semi-permanent installations; offering 24/7 site security coverage under any site condition. The system can detect multiple intrusions simultaneously, reporting each detection back to our secure monitoring centre for accurate and timely reporting to the dedicated site contact or key holder. With two wheels, a towing eye and 4 jacks sitting on each corner of the base unit — transporting the surveillance tower is simple. 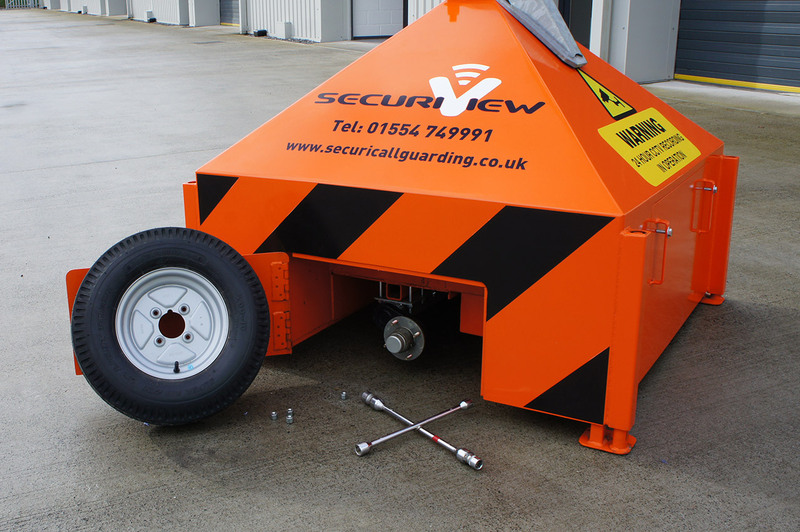 However, when on-site the wheels are removed and base unit is lowered ensuring the highest level of security. 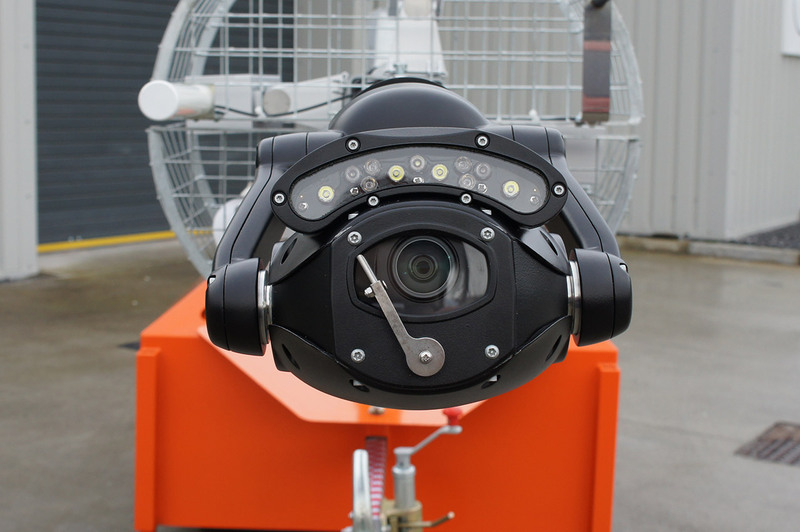 A ruggedised HD PTZ (pan, tilt and zoom) dome camera provides the eyes for our redployable surveillance systems, offering exceptional low light performance and full HD 1080p imaging capabilities. 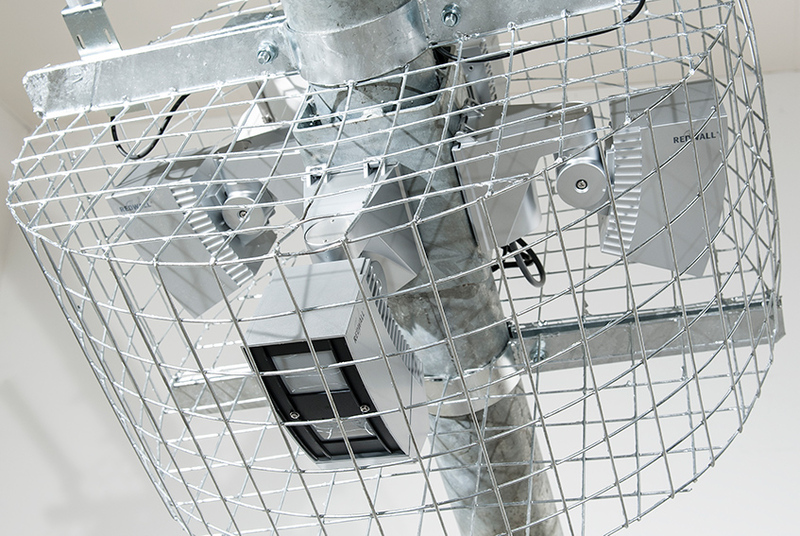 PIR (passive infra-red) sensors sit at the top end of the 6m reinforced surveillance tower, providing accurate and immediate intrusion detection in an on-site environment – with a coverage range of upto 150m. The surveillance tower also combines traditional video recordings with audio feedback capabilities using an externally fitted 15W horn speaker. 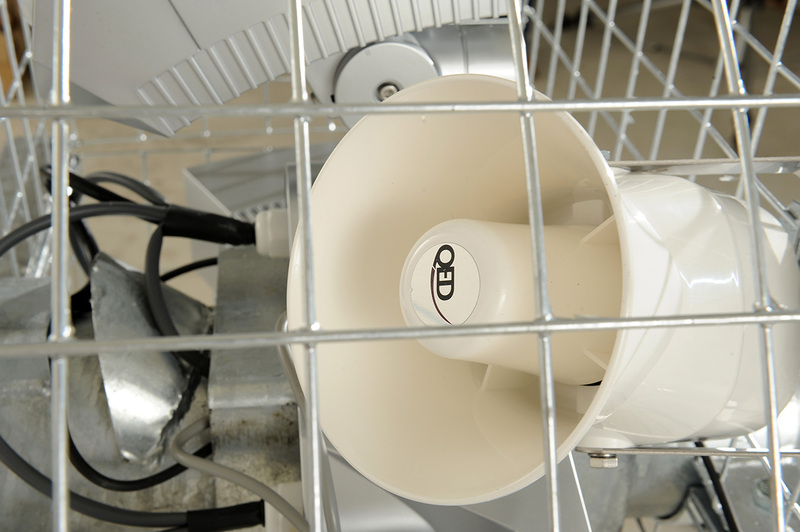 This allows an operator to quickly and effectively provide audio warnings to unauthorized individuals on site. Our system is designed to be flexible. With a built-in backup battery UPS your surveillance will remain on in the event of a power outage. The UPS is able to provide 72+ hours of continuous coverage based on your requirements. With 3G/4G connectivity, the CCTV tower has the ability to communicate remotely to a secure monitoring centre. 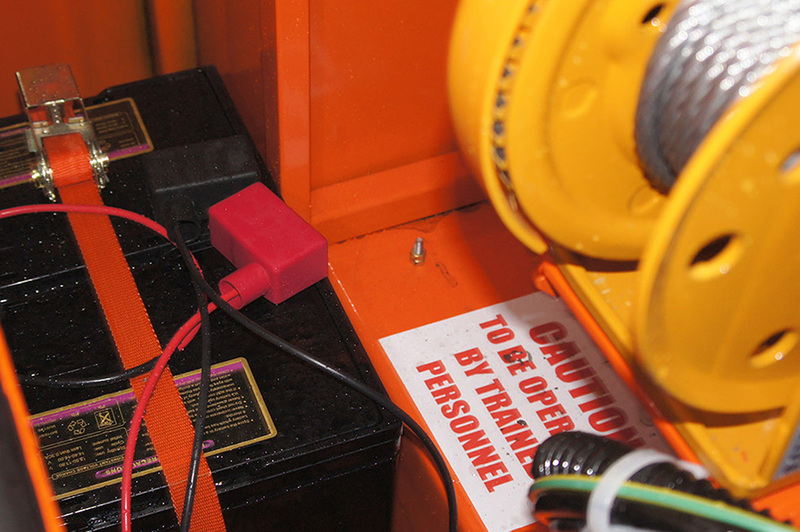 In addition to remote monitoring, access can also be provided directly to site managers via a dedicated application. Our mobile surveillance tower offers a fully monitored CCTV solution, providing intrusion detection and key holder alerts. Our systems are remotely monitored via a 3G/4G connection to the base station of the tower. The monitored alarm systems offer you reassurance that your site is being watched over 24 hours a day, 7 days a week. Should anything go wrong, such as an on-site break-in, the surveillance tower will notify an operator who will then respond to the situation at hand. The operator will begin to handle an intrusion by first verbally warning the unauthorised individual using the built-in speakers. Should the individual remain on site, the appropriate key holder will be notified. If the on-site situation escalates, the police will also be notified of the intrusion. How do we provide our price? Upon receiving the initial enquiry we will work with you to organise a site visit to survey your site. 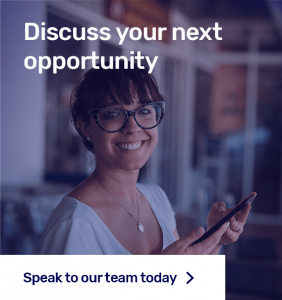 This provides the opportunity for you to meet our account manager and explain face-to-face what you would like to achieve. At this point in the process we will often request site drawings, if available, to aid the pricing process. From the information collected our experienced team will then provide a valid estimate within several days from the point of initial survey. If you need a return sooner just let us know and we will work with you to meet your schedule.